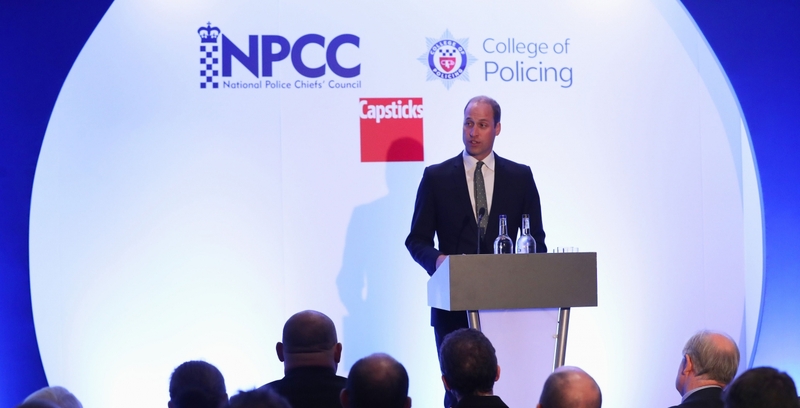 The Duke of Cambridge has attended the National Mental Health and Policing Conference, hosted by the College of Policing and The National Police Chiefs Council in Oxford. The conference will be a part of building a new national strategy for the police service on mental health, which will be more focused on prevention, early intervention and problem solving. The Duke, who recently finished his job as an air ambulance pilot, has pledged to make issues facing first-responders a focus of his work for many years to come. To start the conference, His Royal Highness gave a speech on the on the issue of mental health and the impact it has on policing. Being a member of the emergency services takes considerable mental strength and resilience, and I believe there is more that we can and should do to support all first responders to look after their mental health. The Duke then joined a breakout session with public and police professionals who have been affected by mental health challenges, and who are pioneering change in mental health policing. Representatives from a range of different organisations such as Hampshire Police, the NHS, Safe Horizon, Greater Manchester Police and the College of Police. His Royal Highness then joined a workshop on 'Respond' a new training package developed in the North East to assist agencies in working together to challenge the stigma surrounding mental health.